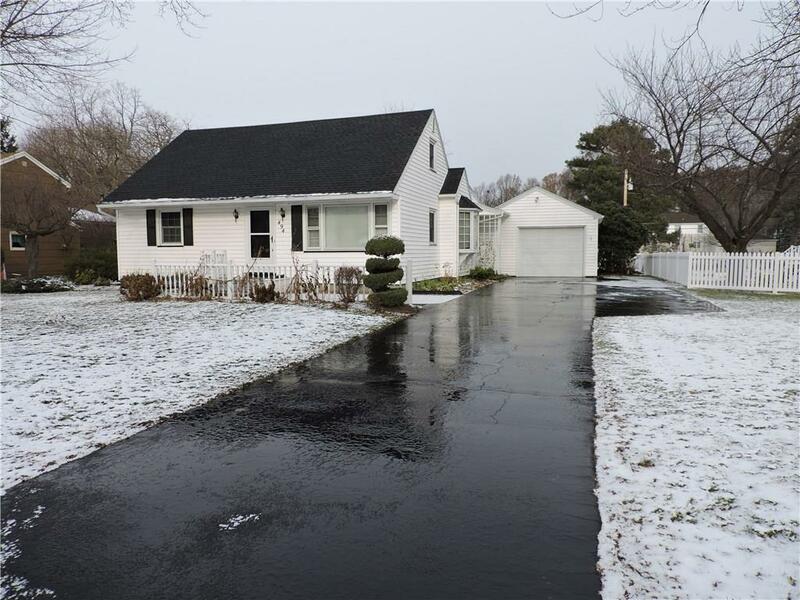 494 Hollywood Boulevard Webster, NY. | MLS# R1144689 | Homes for Sale in the Rochester Area. Get the personalized one on one service you deserve. CHARMING CAPE COD AWAITS YOUR SPECIAL TOUCHES! With 3 beds/1.5 baths, this long time family home has been impeccably maintained inside & out! Entertainer's delight! ENORMOUS family room/dining area that will allow for as many guests as you can invite this holiday season! Updated kitchen and ALL appliances STAY-washer and dryer too! Central AC, newer roof and replacement windows, hardwood flooring throughout most living areas, spacious bedrooms with built ins! Beautiful, mature landscaping boasts perennials galore - easy to care for! Large partially fenced rear yard with patio. This quiet neighborhood street is close to the lake, shopping and makes for easy commutes for wherever you'd need to/want to be. Inside or outside, this is a place to call HOME!